Come to think of it, James Bond and live chat have a lot in common. It’s perfectly normal to use a live chat as just another way to communicate with your customers (as one of the most convenient and satisfying at that). You can install a live chat widget into your website and call it a day. It will probably work as it is. Customers will see a chat button and will use it occasionally when they have questions, while your support team will answer those questions. But here’s the thing. 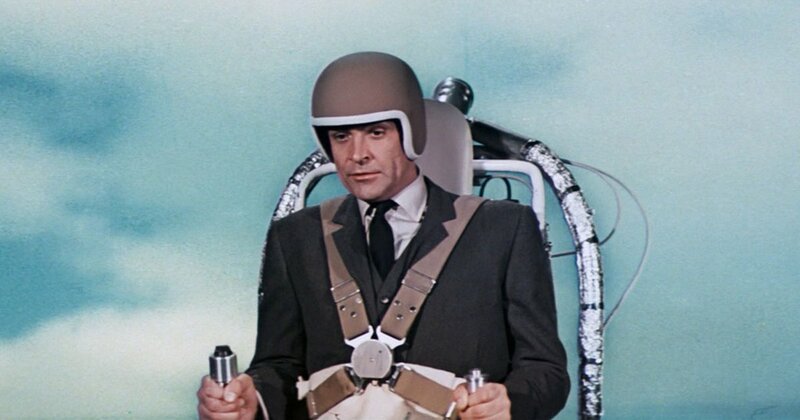 I’m sure James Bond is a pretty great secret agent, too – even without all the fancy gadgets. But why doing it without help if he can always use his gorgeous Aston Martin, magnetic Rolex and a plethora of other unbelievable devices. Just like these gadgets help James Bond a lot, you can enhance your live chat by applying a couple of tricks to it. So we asked around about people’s favorite tactics for live chat optimization and got some great recommendations. And just like your very own Q-branch, HelpCrunch has all the necessary tools to integrate these tricks into your live chat workflow. Customers really (reeealy) like asking same questions over and over again. Naturally, this area should be your top priority for optimization. Having a great knowledge base can save your customer support agents a lot of time, that’s for sure. Canned responses are a great time-saving hack for customer support and sales teams. Most live chat tools let teams see patterns for questions that are frequently asked. From there, teams can build flows based on those most asked questions to automate live chat questions. 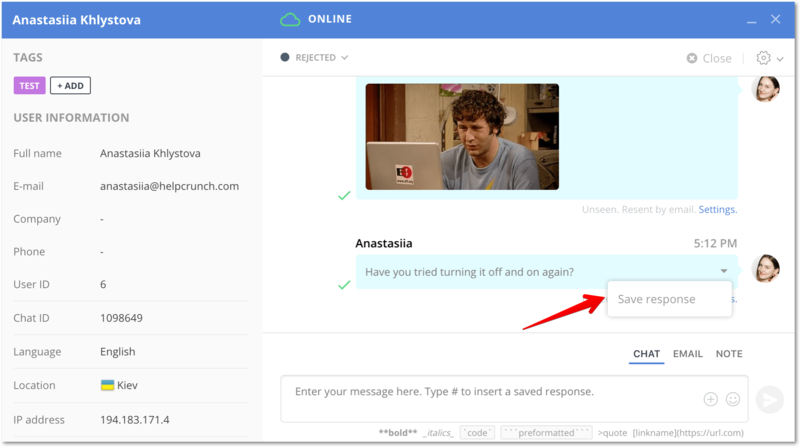 Most tools also allow for teams to add in canned responses, which are responses that are default responses that a customer rep can just click one button to send that response instead of writing it out every time it’s asked. A little trick we started omitting into our canned responses was to include links to different pages within our website that can help the user better. Rather than explaining how something is done, we can simply link to a blog post or to the specific pages they are looking for to quickly help them. We found ourselves having the same conversation over and over again about basic questions and needs when in fact these questions were already addressed at different assets of resources on our website. When we overhauled our canned responses to include as many links as possible we noticed a 40% decrease in time spent on live chat. Sooner or later, robots will be smart enough to replace people in all kinds of jobs. Until then, customers still appreciate when a real person listens to them and solves their problems fast and efficiently. If you’re willing to go that extra mile for a customer, they will definitely notice it. And you can be sure they’ll appreciate your effort, too. It doesn’t need to be something complicated. Even looking at a page, where a question from a customer emerged, you can give somewhat of an extraordinary customer support. One often overlooked perk of live chat we see again and again is disregarding the page the user asking the questions is on. The chat operator might re-ask some of the same questions they just read, or even worse suggest some of the same fixes someone has already tried. Many chat platforms enable you to see the page the user is on (and some show the ones they’ve already visited as well) while they chat with you. Use this to your advantage. Don’t just follow a script. Also, if this is in a customer service capacity, use this as a training opportunity. Tell the user what to do on the page they’re on – “You can find that information by clicking X or scrolling to Y”, etc. – this also helps them learn how to find information on their own and lowers repeat customer service inquiries and the overall cost of customer service via chat. While nothing beats a live conversation with a real person, chatbots or automated messages triggered by certain criteria can be of a great help to your customer support team. If used wisely! With one of our clients, we have implemented a chatbot automation to ask preliminary sales and support questions. So, the chatbot can ask for the necessary contact information, whether the user would like to ask for customer service or looking for a purchase, and even questions like “What’s your budget?”. This way, you can implement a 24/7 live chat with fewer costs. In our experience, implementing chatbot automation have improved our conversion rate, because the user can have a smoother, seamless experience. In cases where your salesperson is not available, the chatbot can also take over, so you won’t miss any opportunities. Chatbots can be very helpful, and they also can be fun to talk to. Just try walking in your customers’ shoes and make their conversation with a chatbot a little bit more interesting. I mean, a nice personalization touch from a bot is something you can still surprise people with. When we were trying to improve our conversion, we realized that giving our chatbot a backstory helped us improve our sales by 28.2% (yes, AMAZING!) because it helps generate empathy with a client. In our case, what was useful was to give personality to our AI chatbot according to the geographical location of our client. According to where the user lives, our chatbot takes a specific backstory and generates a synergy with the client that did not happen before. I am convinced that when an AI chatbot has its own personality it helps the client to feel more comfortable with the experience despite knowing that it is not a human who is helping him. Want to know how satisfying your customer service is? Just ask your customers. It’s a matter of seconds for them, but can become a great source of insights for your business. I’ve seen stores with live chat that allows you to rate their customer service when the chat ends. 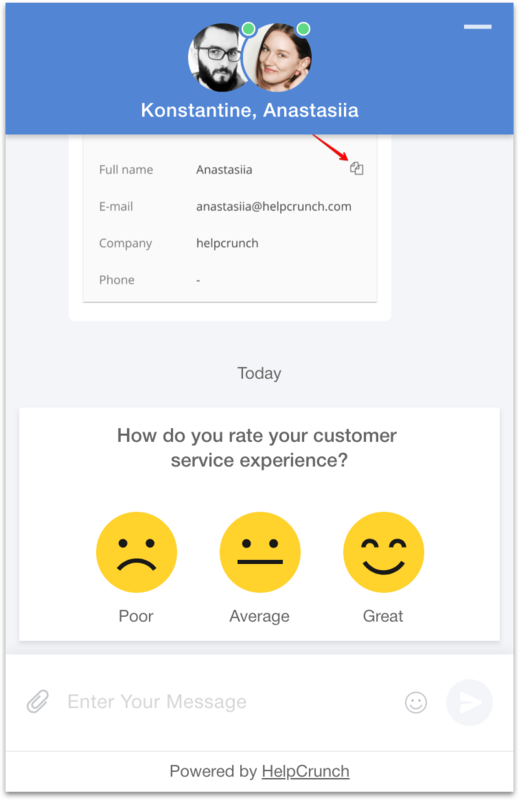 This type of feedback can be invaluable for businesses, and it is the type of frictionless feedback that customers find easy to give since they’re already there on their computer and all they have to do is to click a button. Your customer support job is not done when the chat is closed. Every chat is a pool of valuable insights. From feature requests to problematic areas of your website to pricing misunderstanding, you should always be learning from your live chat conversations. An underrated benefit of live chat is that, when collected, stored, and analyzed properly, it becomes an incredible pool of insights on your customers (and potential customers). Of course, the immediate benefits of live chat for customer service are great – customers get answers quickly, and prospects can assuage their doubts and hesitations before making a purchase. But if you look back, retrospectively, you can identify common bottlenecks in your purchase process, complaints regarding your website, and questions you may be able to clear up with copy or design. It’s essentially a new source of data you can use to create a better customer experience overall. Alex Birkett, Growth Marketing Manager at HubSpot. It’s true that you can do customer support at your company via outdated ticketing systems and store your customers’ info in Google Spreadsheet. But why would you if you can find a tool for virtually any job these days. So just find the right tools and make sure they integrate with each other smoothly. Connections are key. Whichever system you’re using for a chat, connect it to your help desk or CRM. There are so many key benefits to this – you’re able to get CRM and account info at your fingertips during a chat, and your sales reps and account managers can see the chat transcripts so everyone is up to date. Use those integrations to make your life easier! Some live chat providers (HelpCrunch included) offer a simple CRM or help desk on top of the live chat tool. Often, this functionality is more than enough to efficiently manage all your contacts in one place, especially if you’re a small or mid-sized business. The more information your support agents have within their grasp, the more efficient they get. No one likes answering dull questions. What people do like is getting their requests resolved immediately. So make sure you’re giving your support team all the context they need. 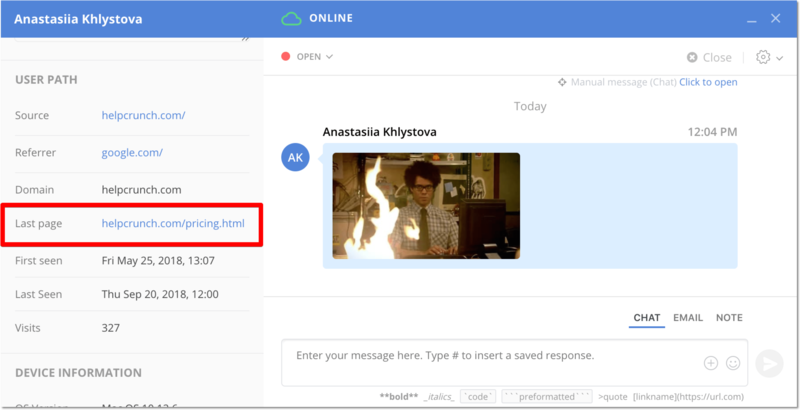 Add tags, leave chat notes or private messages, forward custom data about your users to your live chat platform in order to provide more insights and context to your team. All this will speed up your sales and support processes dramatically. One of the top ways that customer service teams can work more effectively is by keeping an electronic archive of each customer’s order history. No customer wants to wait on hold (or the chat equivalent – spend forever waiting for their representative to respond to their query). But, on the rep’s side, if they don’t have instant access to that customer’s information, it’s almost impossible to provide a quick reply. To better meet customers’ expectations, we recommend keeping purchase orders, sales orders, shipping notifications, delivery notifications, and receipts accessible in a secure digital database. Bonus points if reps can link all of these documents together so that once they have one open, they can also view the others. This makes it much faster to respond to live chats. And because it’s critically important to provide exceptional after-sale service, this approach doesn’t just mean fewer headaches for Customer Service Reps – it means more repeat business for the company as well. Above anything else, your customer support isn’t about chatbots or databases. It’s about the right people. You customer support agents are your brand ambassadors, your business’ contact with the outside world. It is their behavior and professionalism that people will identify your business with. Don’t hesitate to invest in training your support, sales, account or customer success managers – those who are at the frontier of your live chat. I bet this morning, when you were buying yourself a cup of coffee, the barista was friendly and sociable. Maybe even told you a joke. The thing is, the times of a purely formal business communication are gone. People expect to see the same friendly attitude when they’re chatting with a customer support agent, too. Not a single tool can save a bad chat agent. They are the first impression your company makes and they should be able to render its values. Live chat can become your website’s high-end destination where customer come when they need something, when they’re miserable and when they’re happy. It’s a great place to gather insights. And it’s the best place to establish a relationship with your customer. BTW, we’d love to hear about your experience with a live chat. Do you have your own tricks on how to make it more efficient for a business?